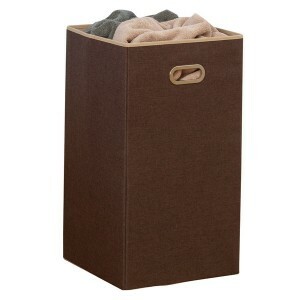 This attractive laundry hamper is lightweight and has a moisture-resistant liner. 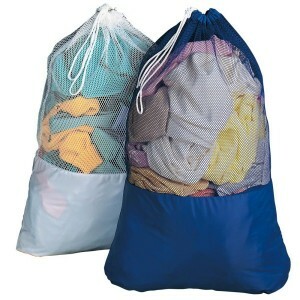 Folds flat when not in use for easy storage. Cut out handles provide a good grip for moving. 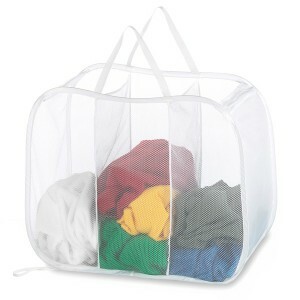 Lightweight with three separate compartments, this pop and fold laundry sorter makes a great hamper for the laundry room, dorms, guest room, etc. 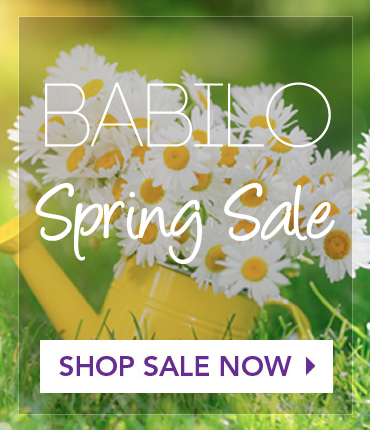 Made from mesh and moisture proof nylon, it also has a sturdy carrying strap. 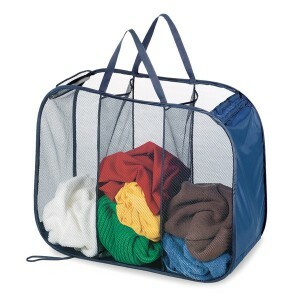 Has an easy assembly flexi-frame, and folds flat for storage when not in use. Spring form steel frame pops open for quick set-up. 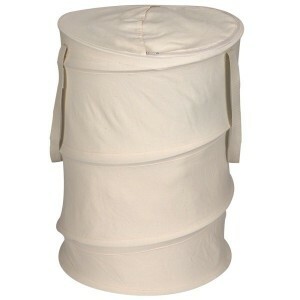 Folds flat for convenient storage. 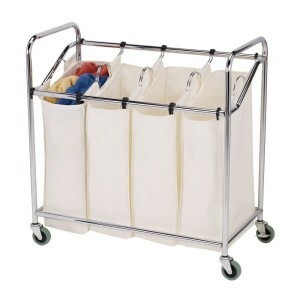 Sturdy handles make transport easy. 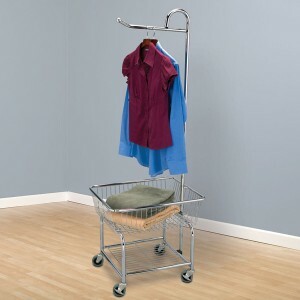 Features a slit top for convenient loading and neat storage. 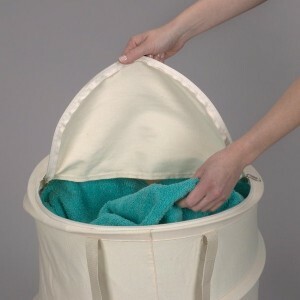 Zippered panel for easy laundry removal. Large capacity.